“Trade me for ships. Get in these Cormorants. Load Spike… and undock, undock, undock. Warp to the small at 10… Slide gate, slide gate… Prop mods on, anchor up, heat your guns. Primary will be the Catalyst of… Secondary is… ” Then, mere minutes later: “Trade me for Caracals. Caracals now. Load faction missiles. Undock, undock, undock… Warp to the medium at 10… Slide gate…”. Days on end, this was what life as a capsuleer had become in the key system of Aivonen as all of Gallente Militia laid siege to the home of Templis CALSF, one of the traditional powerhouses of Caldari Militia. For the first four or five days of the siege Caldari forces outnumbered Gallente in late EU TZ and during most of US TZ. Spirits among Caldari pilots and leadership were high. Wave after wave of cheap-fit Atrons, Catalysts and Coercers were lost in balls of fire to the Templis fleet, FC’d by TheLastSparton, formed of at least even numbers of experienced pilots. But over the weekend – not just any weekend, but EVE Vegas weekend – the balance of power in Aivonen inexorably started to tilt towards GalMil. 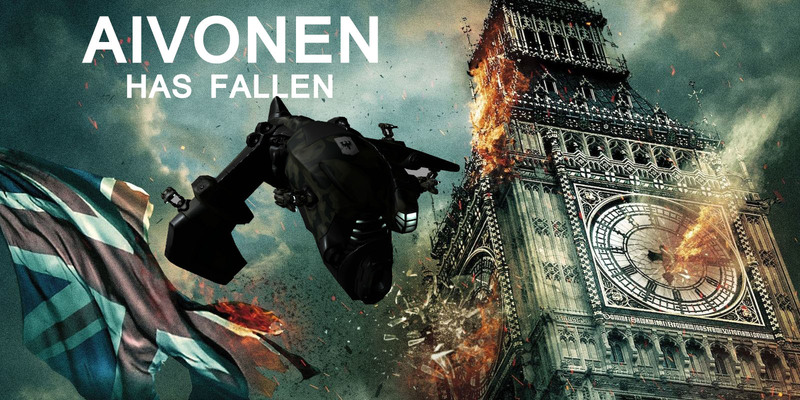 By Monday noon the system became vulnerable, and the Gallente destroyed the system’s iHub the same day: Aivonen had fallen. Over six hundred pilots took part in the epic siege of Aivonen that lasted over a week, causing over 45 billion ISK in losses on all sides and which left almost 10,000 wrecks littering the faction warfare plexes. Pirate groups living in the area were drawn like moths to the fires of war, some that picked off stragglers on all sides while others switched favor from one side or the other as the fighting wore on. Killboards exploded, GFs were given. It might not have been the biggest ever siege in terms of ships destroyed (although it came close), nor the longest lasting one, but it has been a long time since we saw a conflict on this scale between the warring factions in the north. In the aftermath of such a huge battle, tempers had inevitably become frayed as many combatants had fought long and hard to either defend their home or to claim an important moral victory over an old enemy. As a result, Reddit and other social media channels lit up with theories and debates on what had caused the Gallente to undertake the siege, and why the balance of power had shifted. We talked to a number of key players to better understand how the siege played out and slowly but surely the true picture of what happened became clear – no longer a stark black and white affair, but one with many shades of grey. To understand the events of this last weekend, we need to look back at least as far as the fall of Okkamon. When the home system of the CalMil alliance Amplified was lost after a siege of just two days (reported in The Okkamon Blitz), and when Amplified disbanded as a result, CalMil seemed weakened and unable to hold its own against the Gallente. In the EU and AU timezones in particular, the Caldari lost a lot of good capsuleers. But some in Caldari Militia did not share that idea. The old Caldari powerhouses of Templis CALSF and BLOC continued to push systems in their neighborhood – including the old Gallente staging system of Enaluri. More or less at the same time, one of the newcomers to Caldari Militia, a new player corp called Black Shark Cult, began to ninja plex a number of less travelled systems on the edge of the war zone in support of the small Caldari groups living in those areas. The sudden push on multiple systems at opposite ends of the war zone proved troublesome for the Gallente, who began to bleed systems – first one, then two, up to six by the time Aivonen was attacked. Ezekiel Winter, CEO of Black Shark Cult, gives us some background on what he calls “Operation Sharktopus”. “We are a PvP training corp for newbies and we’ve been preparing for the arrival of Alpha clones for months. A big part of our service for new players is to provide an exciting narrative for them to take part in. Null sec has wars, propaganda and political spin, but low sec is sadly missing these. The renewed aggressive stance of the Caldari militia did not go unnoticed in the opposing camp, of course, and Gallente leadership discussed what the proper response should be. 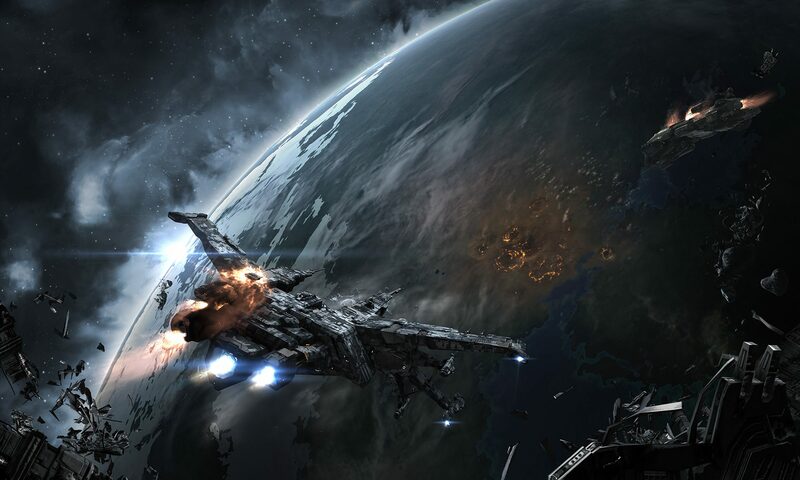 At one point, GalMil leader Kontraband Venning from Spaceship Bebop alliance sent an EVE mail to the Caldari leadership to warn them off – in essence, it said that if they did not leave the “no no systems” like Enaluri alone, GalMil would cancel their self-imposed truce and attack the Caldari home systems in force. The Caldari reply to this email was hard to misunderstand. While we haven’t seen this e-mail in person, it is supposed to have read something like “bring it on if you’re not pussies – this is the opinion of all true Caldari CEOs”. Julianus Soter of Villore Accords [GMVA] (who wrote a fantastic in-character report of the siege from the GalMil point of view), managed to get the Gallente leadership to set its differences aside as they rallied to strike at the heart of the might of CalMil, sieging Aivonen, home of Templis CALSF. All of GalMil – except Rapid Withdrawal – started to gear up for a system siege. Citadels were deployed in Aivonen and Kehjari, and logistics wings started to ship in thousands of plex fighting ships. Of course, that was not a complete surprise to the Caldari either. On the 24th of October, the fighting started in earnest. For multiple days, the fighting went back and forth and it seemed like the two forces were evenly matched. It was a classic siege – lightning-fast reships, fleets ranging from 15 to 50 people in size, and with a heavy focus on frigates and destroyers, with the occasional cruiser upship for a specific purpose. Veterans and new players alike reveled in the bloodbath – a new player corp like Black Shark Cult rocketed to sixth place in the Caldari faction killboards simply by getting their members to join the Templis CALSF-led defense fleets. However, a pattern that would prove deadly for CalMil began to emerge very soon. The lack of an AU/early EU timezone in CalMil clearly posed a problem, though. Once GalMil noticed they were not making the progress they had hoped for, they rallied even more troops to the cause at the same time that Templis CALSF lost a sizeable number of veterans who left to attend EVE Vegas. GalMil on the other hand also had a presence at Vegas, but not at all to the same extent. As a result, the already small number of FCs in the CalMil roster thinned even more, leaving but one or two experienced FCs. FC’s who were at risk of burning out after pulling sixteen-hour shifts. There’s also been some discussion – as so often happens after major battles – as to who was helping who in Aivonen, with both sides telling a different story. TheLastSparton: “Rote Kapelle was clearly there for GalMil though I can’t say if they were paid or if they just chose a side to back up for the conflict. I’d say there were a few third parties that had an effect besides those two. Exodus who helped us occasionally, when they were around, by camping acceleration gates and making it hard to set up outside gates, though they also did that to us at times. Waffles, who initially were third partying but started joining my fleets which I greatly appreciated. So did the militias hire mercenary help? We may never know. We have received confirmation that at least one smaller group was paid to help GalMil (The Corporate Raiders), but that seems to have been a personal initiative by a wealthy GalMil member. In the end, the battle was won through better time zone coverage and better numbers, although GalMil did not have those numbers from the start and many members of the Gallente militia went the extra mile to play outside of their own time zones to achieve success. However, it took a whole week to flip the system, and unlike in the blitz siege of Okkamon, CalMil was not consistently beaten on the field, nor was Templis caught unprepared from a logistics point of view. As a result, both sides seem to have come away with a sense of victory. Templis has been in the militia for a long time and we plan on continuing to be here in the future. Back to where we started? Maybe, but now we have re-energized militias and players on both sides. And we would not want to see it any other way!